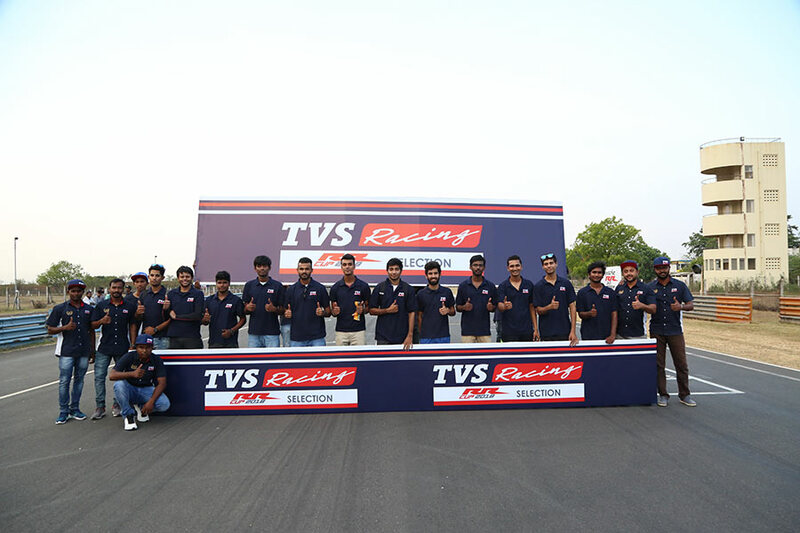 TVS Racing, the factory racing arm of TVS Motor Company, today announced the final 12 participants for TVS Apache RR One Make Series. The racers will compete in the first edition of the TVS Apache RR One Make Series, which will be conducted as part of the Indian National Motorcycle Racing Championship (INMRC). To begin in June 2018, the racers will compete astride the Race Spec TVS Apache RR 310. Post a rigorous selection round held at the Madras Motor Race Track (MMRT) in Chennai, 12 riders from across India were chosen based on their fastest lap times. The selection was only open to riders with a podium finish in INMRC or any One Make Championship. The event saw an overwhelming response of 287 entries of which 40 qualified for the selection round. When we spoke about the TVS Apache RR One Make Series at the launch of the TVS Apache RR 310, the response across the country was phenomenal. This further translated into the number of entries and we were delighted to see new names spring into the final 12. We are glad to have such spirited and talented individuals on our platform and look forward to see them compete fiercely in the cup astride Race tuned TVS Apache RR 310. I wish them all the best for the cup. The Race Spec TVS Apache RR 310 is equipped with a free-flow exhaust, improved induction system; race tuned Electronic Control Unit and modified foot- peg to provide race ergonomics. Commencing in June 2018, TVS Apache RR One Make Series is an all new initiative by TVS Racing, developed to support and nurture young talent in motorsport across the country. The Series has been conceptualized to build on the TVS Racing pedigree and complement the build of the race machine. The TVS Apache RR One Make Series will take place along with Indian National Motorcycle Racing Championship (INMRC) in Chennai, Coimbatore and Budh International Circuit (Noida). 12 riders will compete across 6 rounds, with 1 round being a part of the Asian Championship.